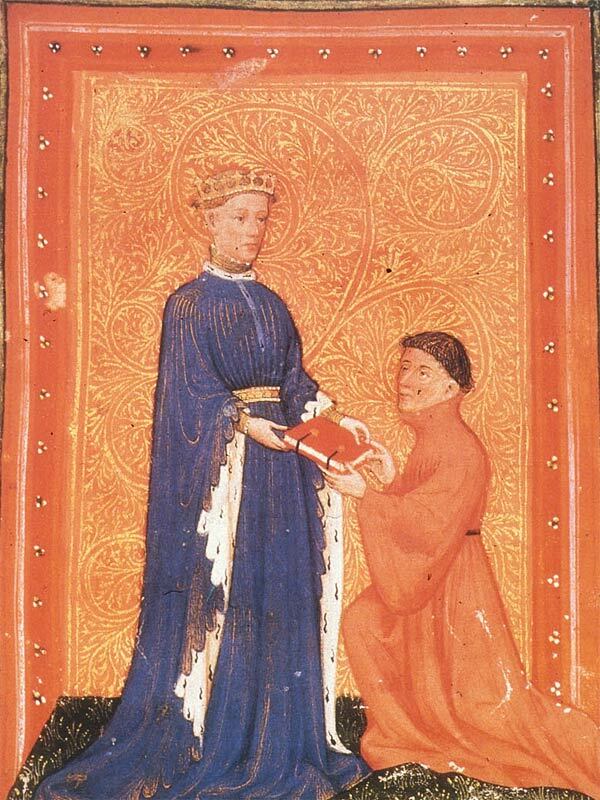 doing some costume research i have found some illustration depicting bertrand du guesclin, dating from the early XVth century,showing him with very short cropped-shaved hairstyle. i was wondering if it was a common use durind the late middle age and if you could show me other examples in art. 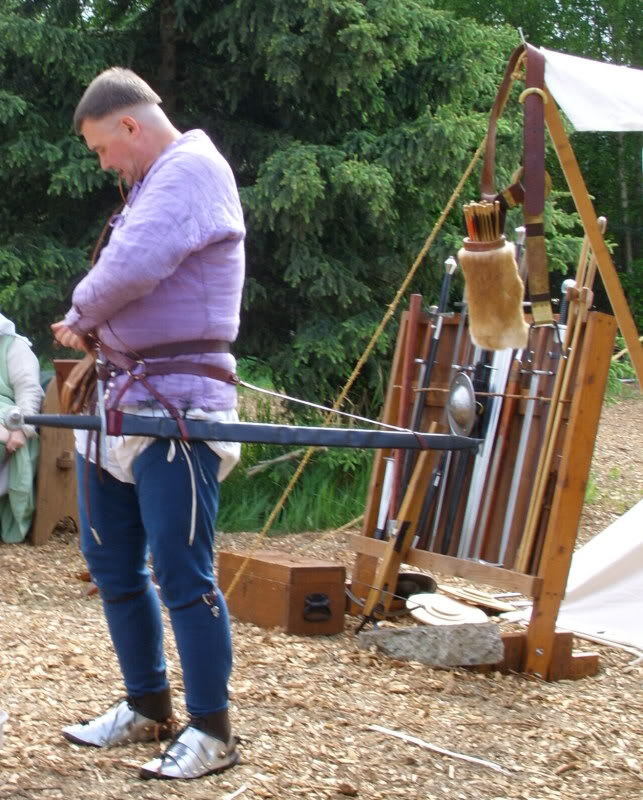 this isn't late middle ages more early Renaissance, but I do remember that a number of landsknechts preferred the military style hair cut as you speak of. 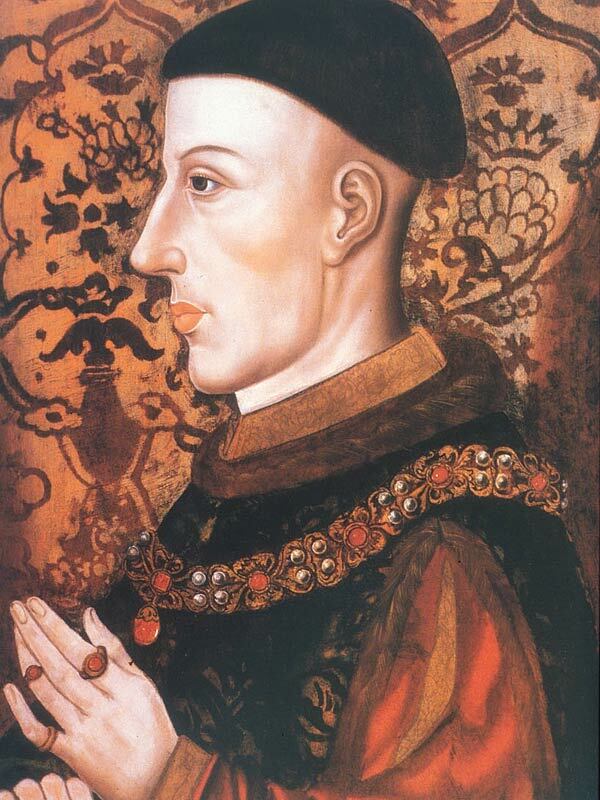 England's King Henry V is often shown in period art with hair very short around the sides and back. Hairstyles seem to go in fashion cycles throughout the middle ages. The Normans in the early 11thC favoured the short 'pudding basin' style. However, for most of the Middle Ages medium (collar) length hair seemed to be most common. The 'pudding basin' haircut had a brief resurgence in the late 14th - early 15th centuries (see the images Chad has posted) before reverting to medium length again. Medium length hair seems to have remained the norm until the second quarter of the 16th Century, when closer cropped (read: more like today's) hairstyles became the fashion. Here are examples of more or less the period. In the pages of deepening, there are other portraits. Interesting stuff; clearly I have to extend the definition of 'short hair' in the early XVth Century to include more than just the 'pudding basin'! This subject came up about two years ago (or so) over at Armour Archive. About 3 to 5 days worth of stubble. If there was a common shape (such as the "pudding basin') the period art shows the basic shape of the style, just buzzed down to stubble. Yes, even I rocked the "pudding basin' once for an event.